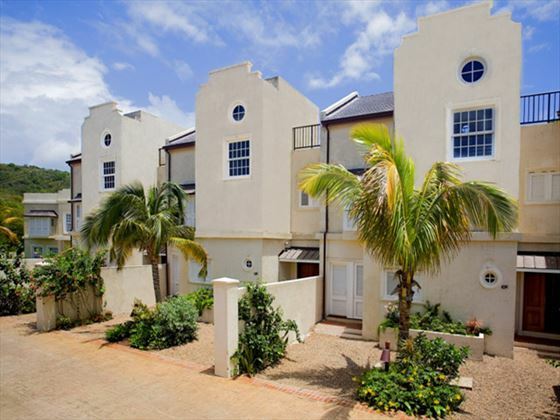 Luxurious, elegant and incredibly stylish – these are words to describe the Cotton Bay Village, a collection of spacious suites and villas with private pools and access to hotel services. 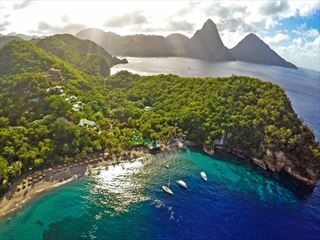 This is the only resort in St Lucia which offers villas with direct beach access and a golf course. 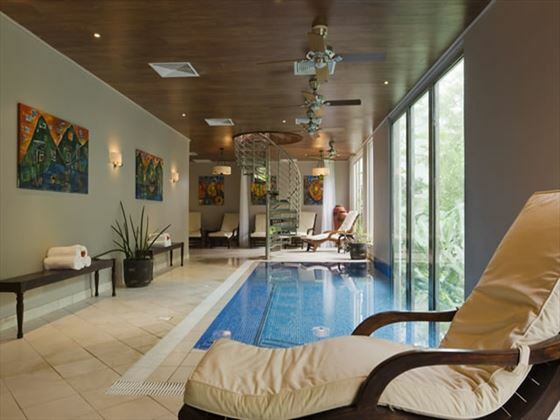 While you’re here, we recommend making use of ‘Heaven’, the 10,000sq ft. spa with a color therapy steam room and Moroccan rasul. The dining options here are some of the most celebrated on the island and are perfect for ending the day with some fantastic and authentic cuisine before taking an evening stroll on the beach. Of course, there are self-catering facilities if you’d prefer to have a quiet night in the comfort of your suite. There’s a kids club to ensure younger guests have as much fun as the adults, as well as a personal butler service to take care of your needs during your stay. 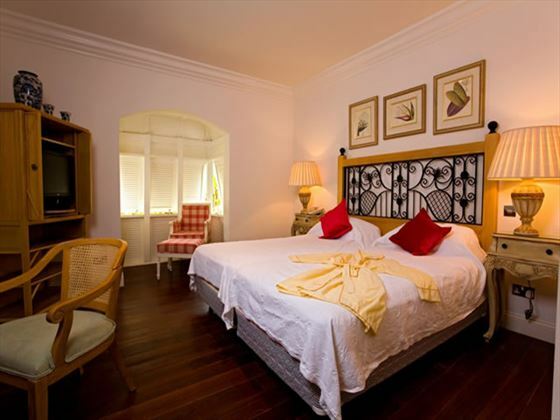 The accommodation consists of 74 luxury suites and villas, with a combination of 1, 2, 3 and 4 bedrooms. 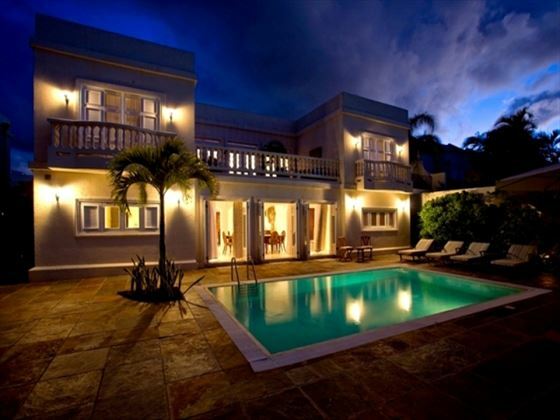 There are also 34 stand-alone villas with private pools with 1-4 bedrooms. 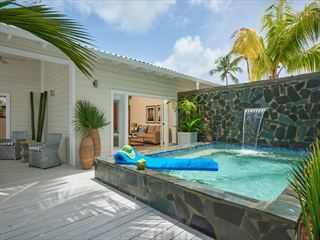 Chateaux Mango – Beautiful property with a stylish décor and three spacious bedrooms, as well as a dining gazebo, private pool with whirlpool and a sun terrace. 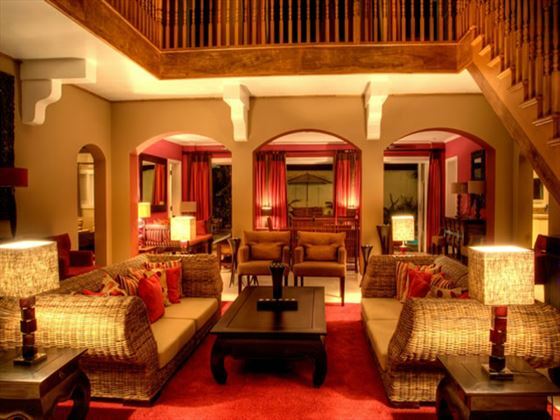 The Terracotta Villa – Elegant villa with three bedrooms, outdoor dining area, luscious garden and sophisticated interior. 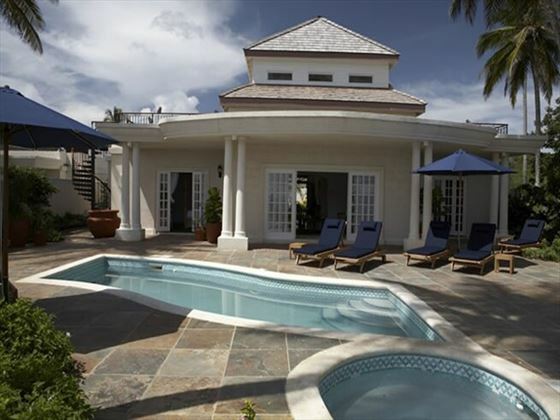 Calabash Villas – Two-bedroom villa with views of the village’s 35m pool and a Tiki pool bar. 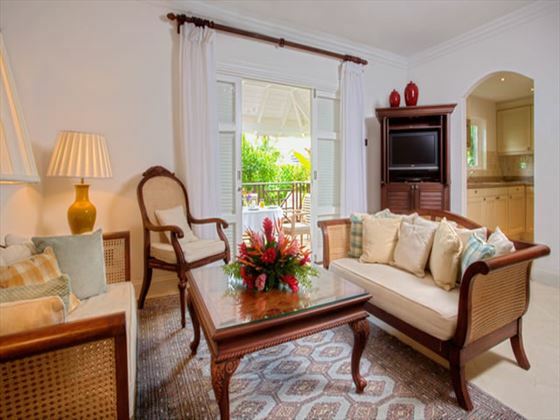 Tamarind Villas – Villas featuring one bedroom, marble en-suite and covered dining terrace. The Humming Bird Children’s Club is available daily and offers varied activities (see below) for children ages 3 – 7yrs. Toddlers can be accommodated, accompanied by a nanny. A daily program of land and water activities is provided for older children and there is a crèche for 3 months to 3 years old. 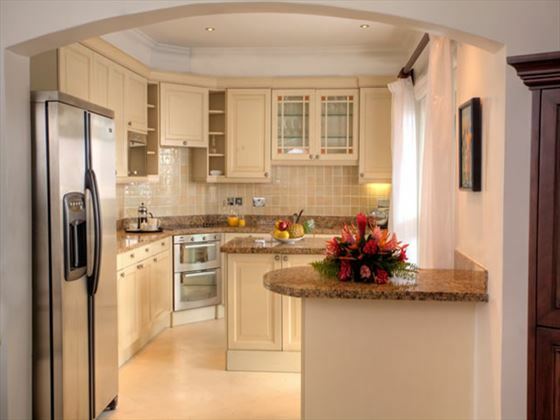 All residences have their own full sized kitchen so self-catering is a popular option at the village with a deli and convenience store on-site. There are also two great restaurants. 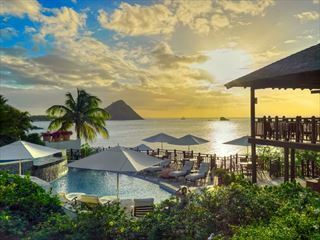 The Beach Club 1461 – open daily for a la carte breakfast lunch and dinner and host to a weekly beach BBQ. Piano Piano – offers elegant fine dining in a fully air conditioned environment and is the perfect spot for pre and post dinner cocktail in the champagne piano bar. When dining, closed in shoes must be worn, bathing suits must be covered and men must not wear tank tops or sleeveless shirts. After 6.30pm men have to wear pants and women have to wear dresses, pants or culottes (no shorts or short outfits).